We understand your frustration with weeds, but in an organic landscape maintenance plan, you must learn to tolerate a few of them. This time of year, we start to hear comments or complaints about cool season weeds cropping up in landscapes. However, in an organic landscape maintenance plan, you must learn to tolerate some weeds. 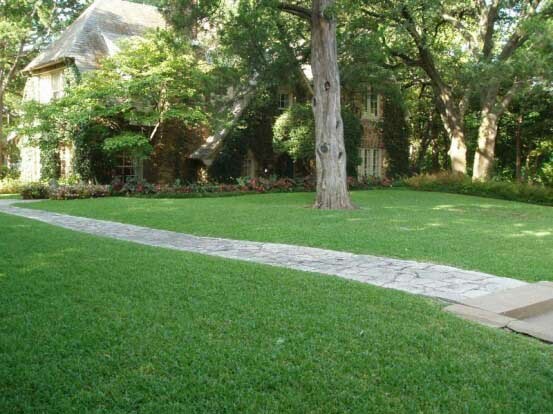 A perfect monoculture lawn (all one species of turfgrass with zero weeds) isn’t natural; that means it often takes chemical herbicides and fertilizers to achieve a “perfectly” weed-free lawn. If you’ve made the choice to reduce your family’s chemical exposure, then come to expect a few weeds here and there in your healthy lawn. 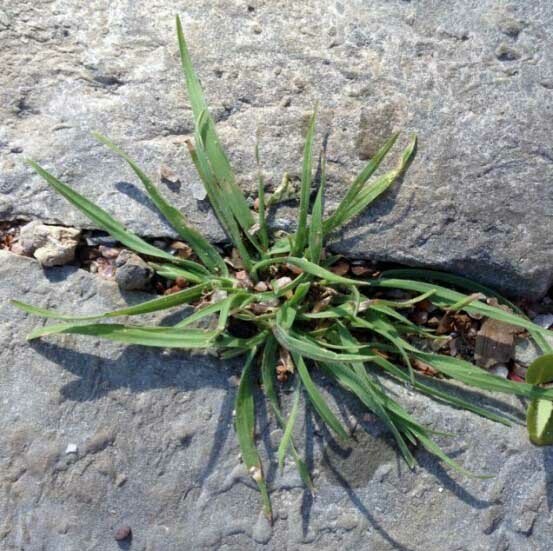 Often, when weeds start to become a big problem, it means there’s something out of balance in your soil, or maintenance practices are creating the problem. You can learn a lot about your soil by identifying the types of weeds you have in your lawn and garden. When your soil is out of balance, certain weeds will flourish. If you’re mowing or feeding improperly, other weeds will crop up. Weeds tend to thrive in soil that is compacted, poorly fed and not pH balanced. They also thrive in lawns that aren’t growing in the right sunlight conditions, or aren’t watered or mowed properly. You may be creating a weed problem without even realizing it! A good thing to remember is that even “weeds” can be beneficial in your landscape. Clover, or woodsorrel, a common “weed” in our area, is a member of the pea family. It thrives in soils with low Nitrogen levels, compaction and drought (which we have a lot of in Dallas!). Did you know that clover will actually pull Nitrogen from the air and release it into your soil? Basically, it’s creating free fertilizer for your lawn. 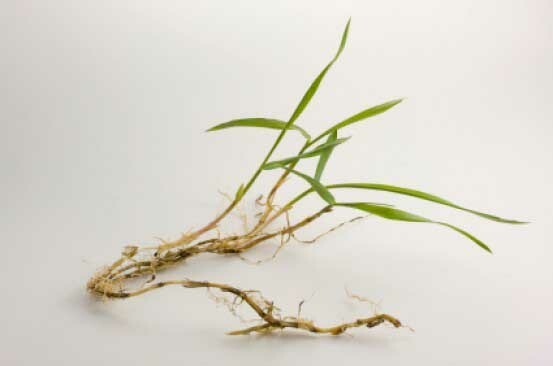 Their extensive root systems also break up soils and promotes beneficial soil microbes. Many other weeds are valuable for controlling soil erosion and others are edible. So it’s good to get to know your “weeds” before you condemn them. Annual bluegrass could mean you have compacted soil. If you have compacted soil, expect to see annual bluegrass, clover, dandelions, knotweed and plaintains. It’s a good idea to have your lawn aerated from time to time to reduce compaction. These weeds also tend to signify either low or excess levels of certain nutrients in your soil. That means you have a fertility imbalance. Feeding the soil, adding organic matter and applying the right organic fertilizers will help balance the environment. Make sure you get a soil test if you’re seeing lots of weeds. Crabgrass could mean you are mowing St. Augustine grass too low. Did you know that how you mow will also encourage certain weeds? If you’re mowing your lawn too low (especially St. Augustine), you’ll be creating the perfect environment for annual bluegrass, crabgrass and plantains. When you mow too low, you damage the growing crowns and stolons of your lawn grass and also open up the light canopy for seed germination. It can also damage the root system by preventing enough photosynthesis. When you damage your lawn in such a way, you’re practically inviting new weeds to move in. If you have a company mow your lawn, you’d best make sure they are mowing your type of grass at the right height. Overwatering and underwatering your lawn will also contribute to weed problems. Water too much and you’ll grow a healthy crop of annual bluegrass, clover and crabgrass. Underwatering, which causes patches of lawn to die out, can create space for these same weeds to move in. Fall Lawn Tip: How to prevent spring weeds. If there are underlying problems with soil and maintenance, then weeds will continue to be a problem. You can resort to chemical herbicides, but you then risk damaging your soil and beneficial plants and insects in the process. Now is a great time to start on an organic maintenance plan. Over time, you’ll see wonderful results without the worry of how chemicals are affecting your family and your environment. Ready for more info on how our Soil Building treatment can benefit your lawn and landscape? Contact us today.